Sara Ali Khan, daughter of stars like Saif Ali Khan and Amrita Singh, has started her career since Kedarnath (2018). 35 years ago Amrita Singh started with the film 'Betabat' (1983). Through 'desperate' Dharmendra's son Sunny Deol was launched. Then the story of the star's sons and daughters was launched in one story. The rich girl was the poor boy or the boy-girl's caste or religion's separation was 'Villain' in their love story. See 'Kedarnath' that in 2018, the story of 1983 is being repeated. In Kedarnath, the boy is Muslim, the girl is Hindu. There is also a difference between the economic condition of both. Both are engaged in love and these things do not let them together. With this, a few more things have been added in the story, such as the controversy over opening a two-star, three-star hotel in Kedarnath, jealousy towards each other in two sisters, because the younger brother who gets married to the elder sister Like it becomes his fiancé. All these sub-plots have been added to sharpen the original plot, but this effort is not successful. The film's director Abhishek Kapoor has written a story in collaboration with Kanika Dhillon. To give a different look and feel to the story and film, this love story has been linked to the incident of flood tragedy that occurred five years ago in Kedarnath. More than 4300 people were killed in that flood, thousands of people were missing and financial losses of millions of rupees were financially. Despite linking this tragedy to the story, there is no effect on the film. The director has tried to make the film 'real' by linking it to a real event, but it did not make sense. The film's foundation (story) is only weak. Nothing is new. Everyone knows what's going to happen next. 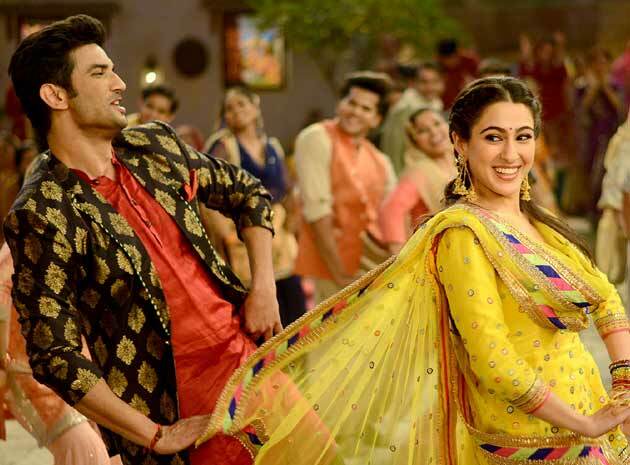 The viewers do not understand why and why it happens in Mandakini (Sarah Ali Khan) and Mansoor (Sushant Singh Rajput). There is no concrete reason why the break-up happens again. Had to finish the story in some way then it was linked to the flood of Kedarnath. It seems as if the authors first thought that something should be written on the tragedy in Kedarnath and then the dreaded story was linked to this incident. As director, Abhishek Kapoor has made two great films like 'Rock On' (2008) and 'Kai Po Che' (2013). In Fitoor (2016), he was not seen in color and his graph came down in 'Kedarnath'. The story's weakness was heavy on their presentation. He could not present the love of Mansoor and Mandakini in such a way that the audience felt something like that. Lovers are not happy to meet and do not get disturbed. The events being shown on the screen are fake and superficial. Abhishek could not make the film entertaining too, and most of the time, there is boredom. Wherever he has extended the story with the song, the film appeals slightly. Due to Sarah Ali Khan, the film has been in the long run. All are full of confidence. Under Sushant's nose, he stole the scene. He is also good at acting, but on the basis of a film, solid opinion about him can not be made. Sushant Singh's work as a very nice and silent person is fine. The effect of the flood of Kedarnath has been well presented on the screen. However, weaknesses have been hidden using very few lights. Amit Trivedi has made good tune of one or two songs. Overall, 'Kedarnath' is a movie below average, in which nothing is 'Exciting'.